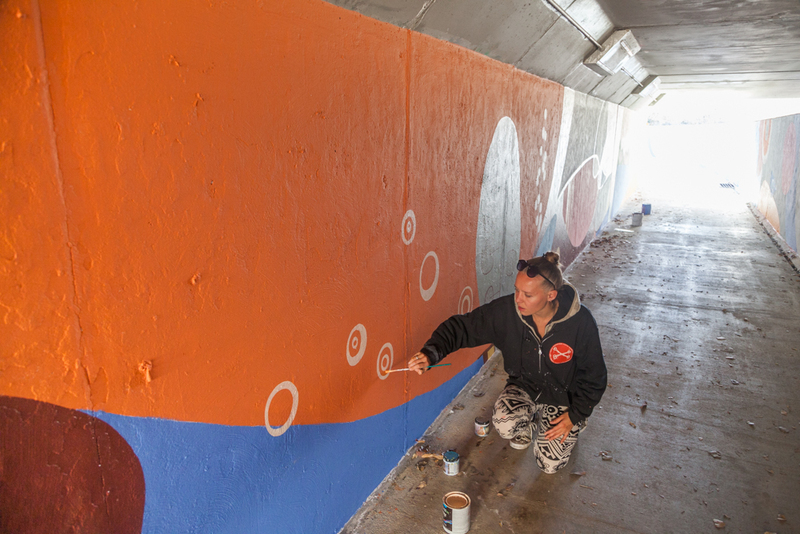 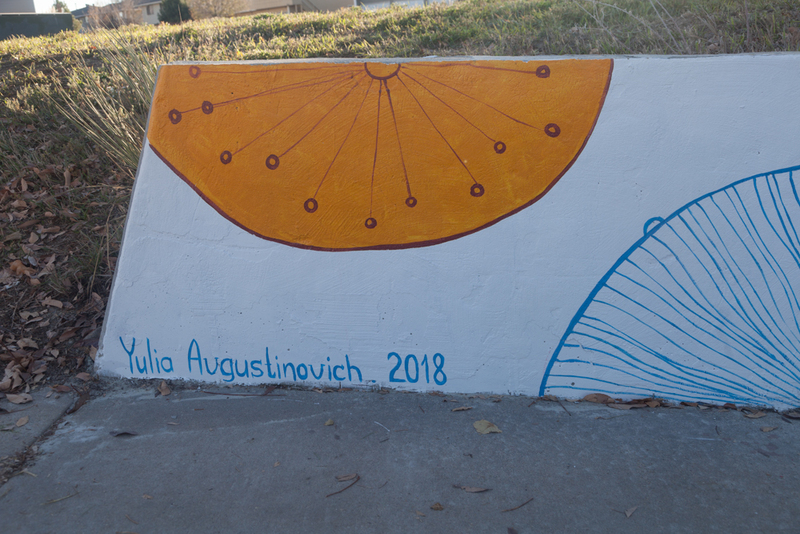 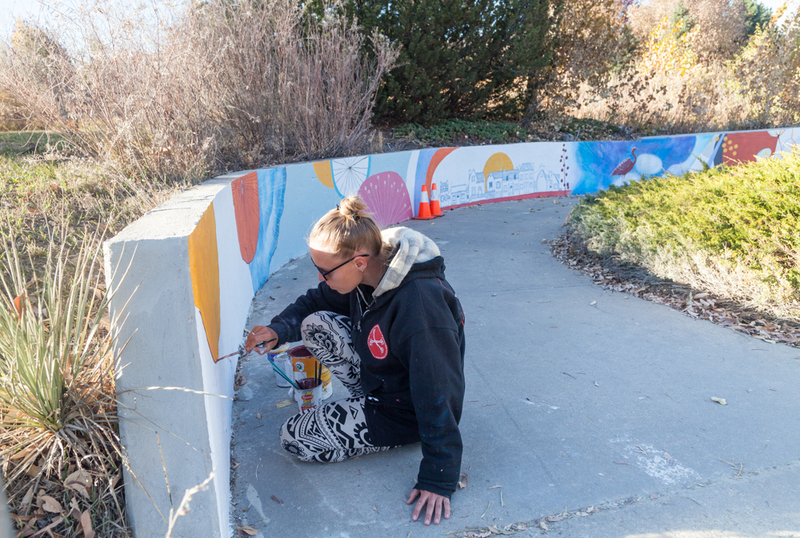 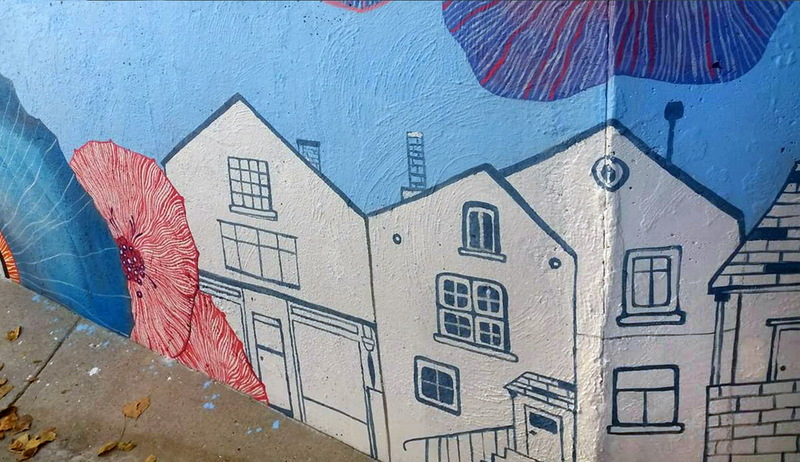 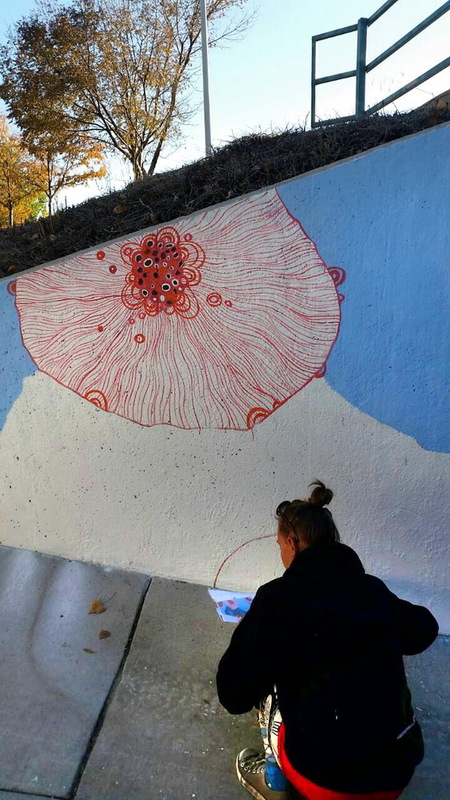 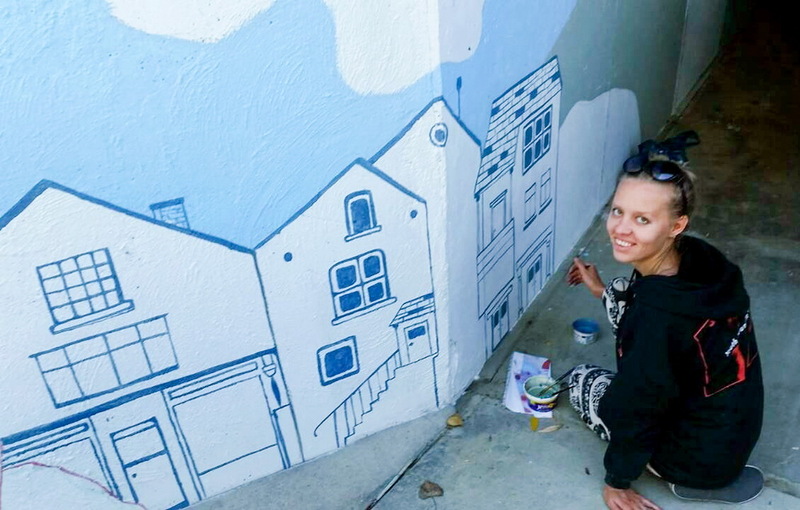 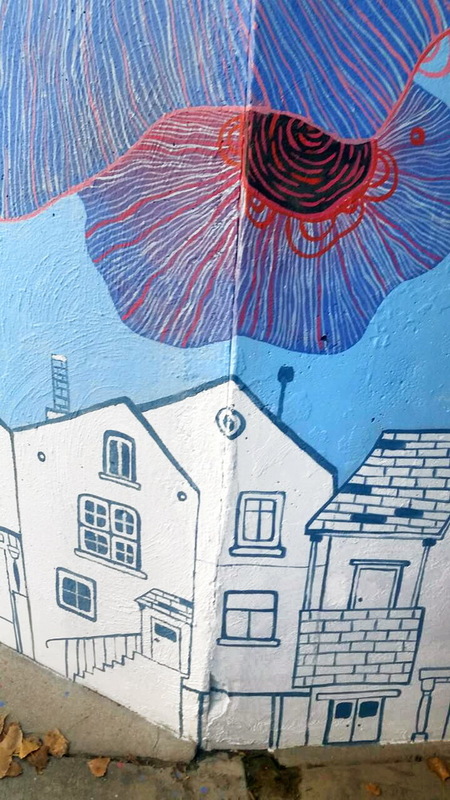 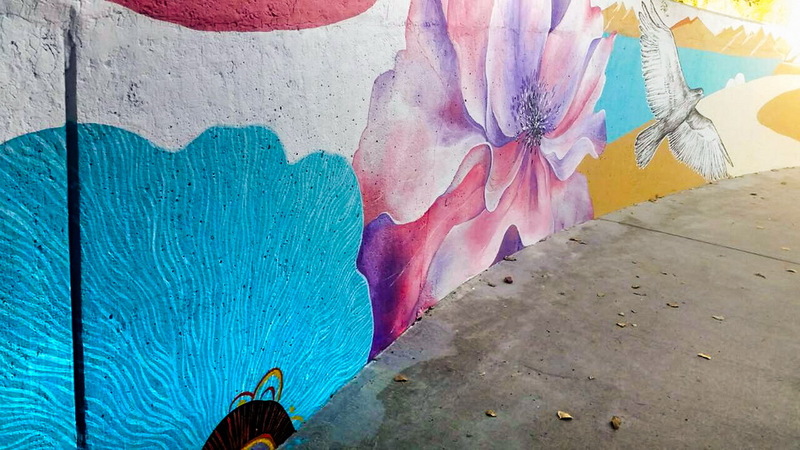 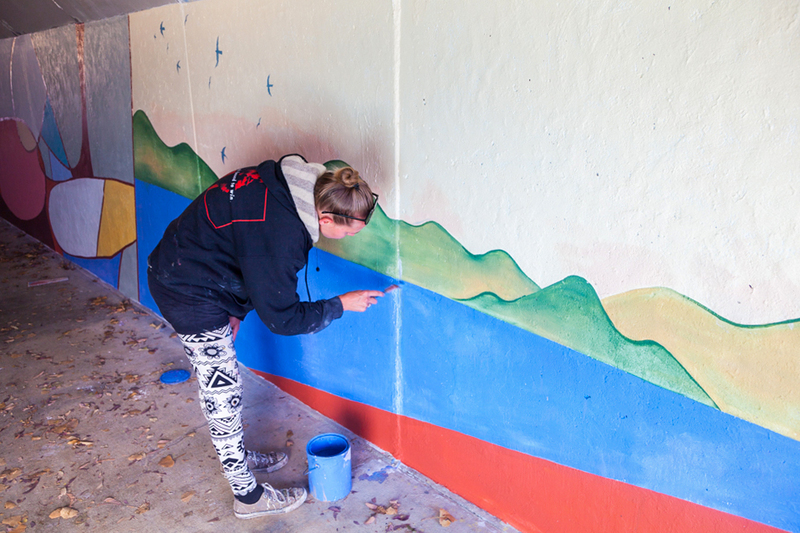 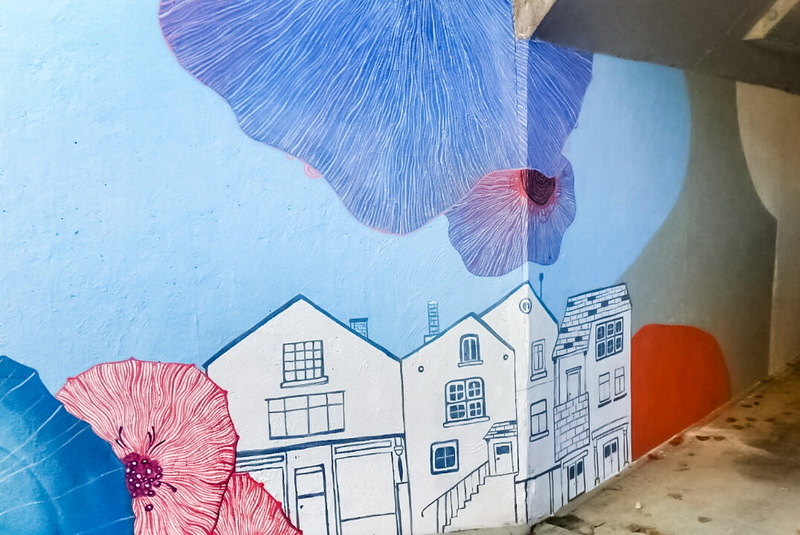 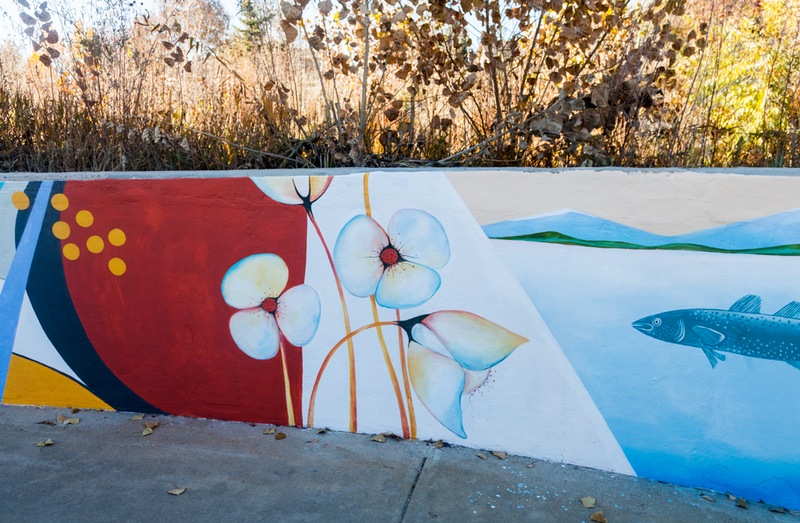 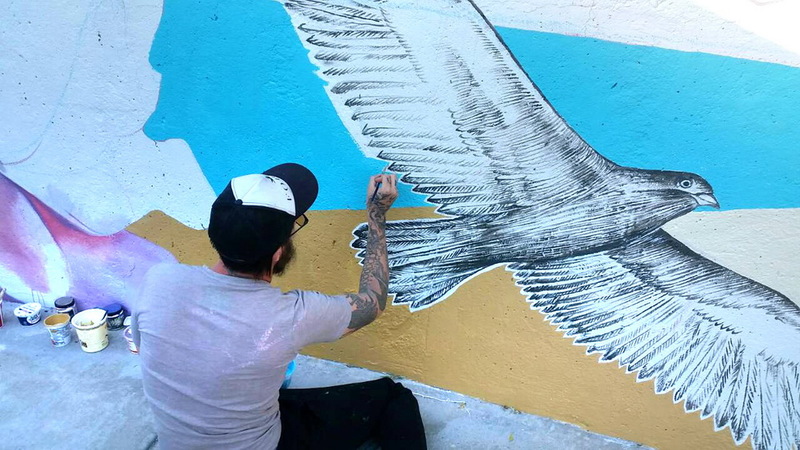 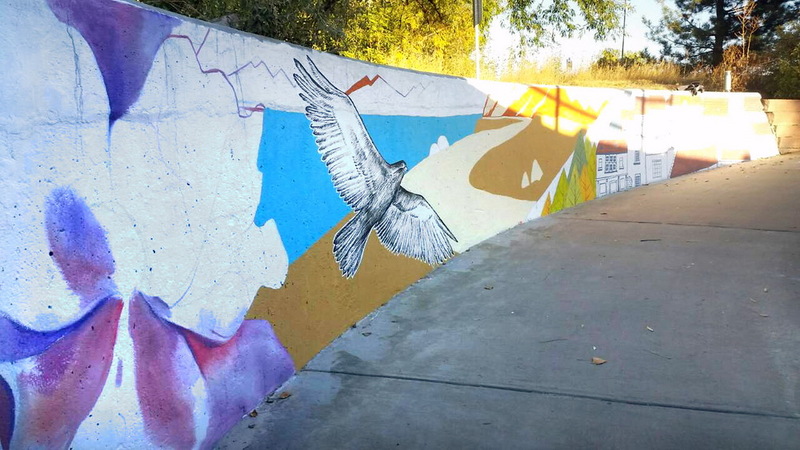 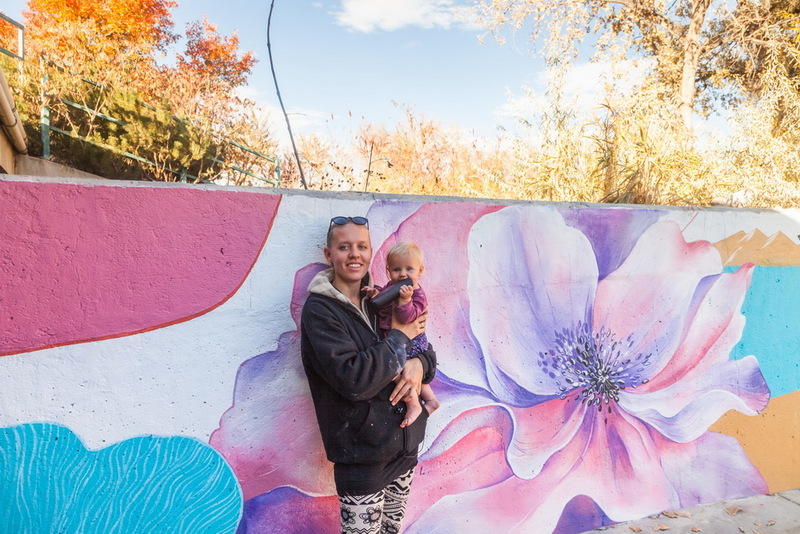 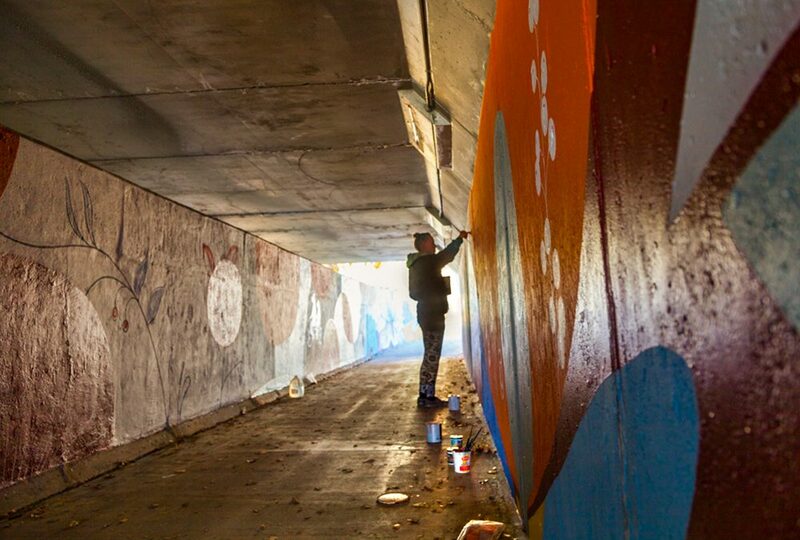 October 2018 gave me two weeks of nice weather to work on an underpass mural. 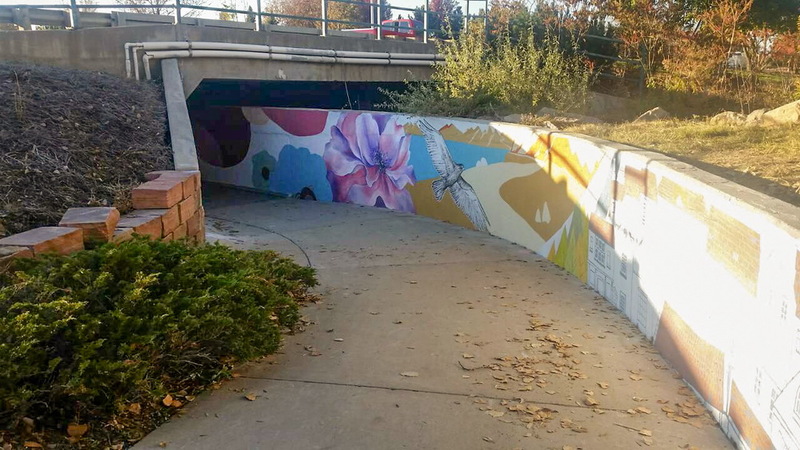 A busy bike pass and pedestrian tunnel under Hover street in Longmont, CO. 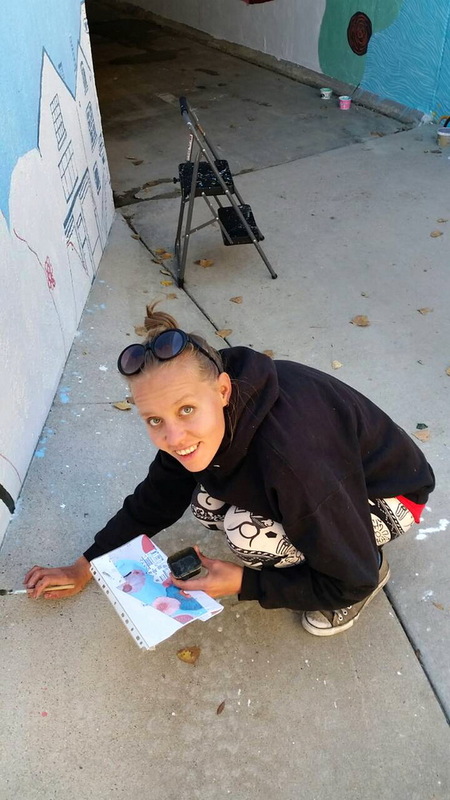 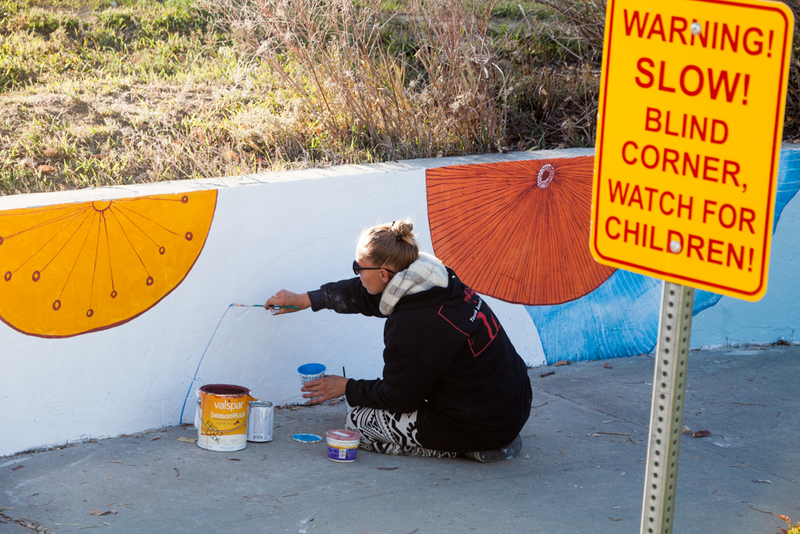 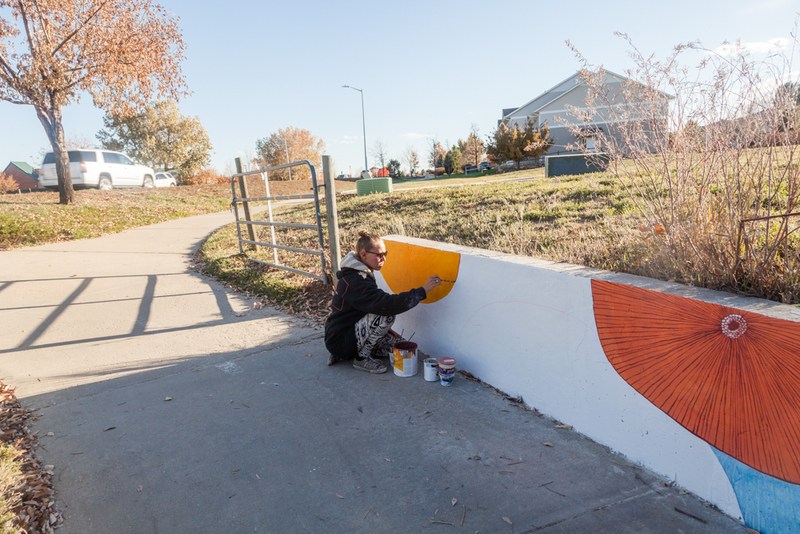 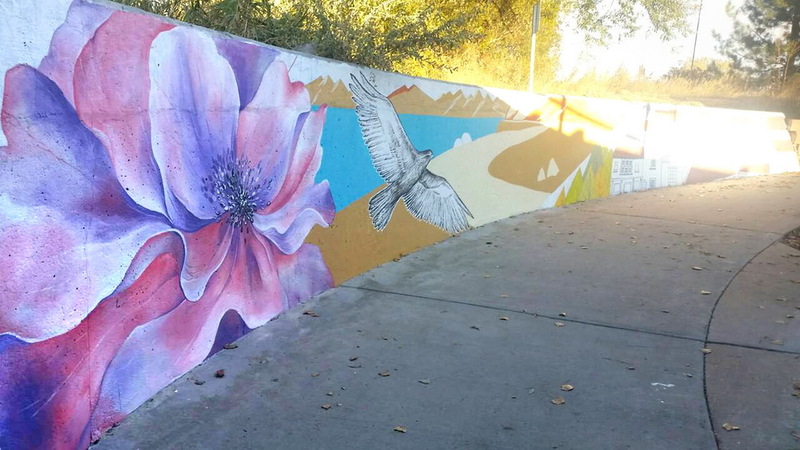 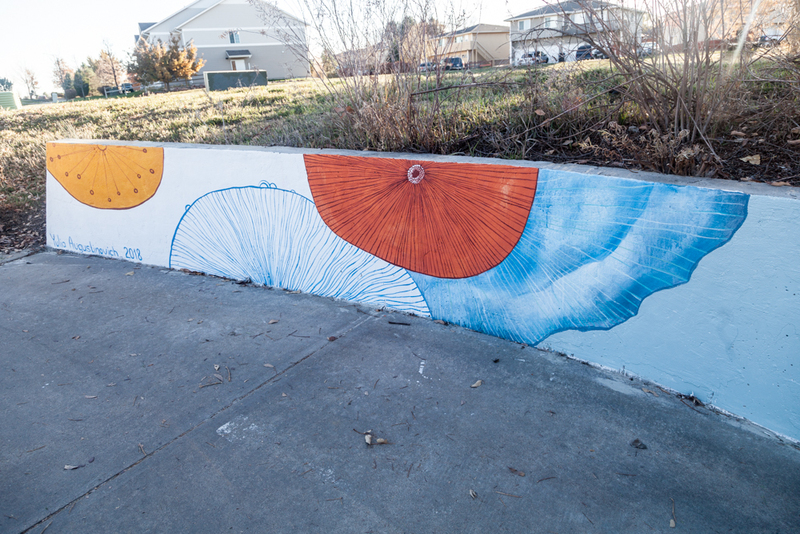 The project was a part of the City of Longmont’s and the Police departments graffiti prevention program. 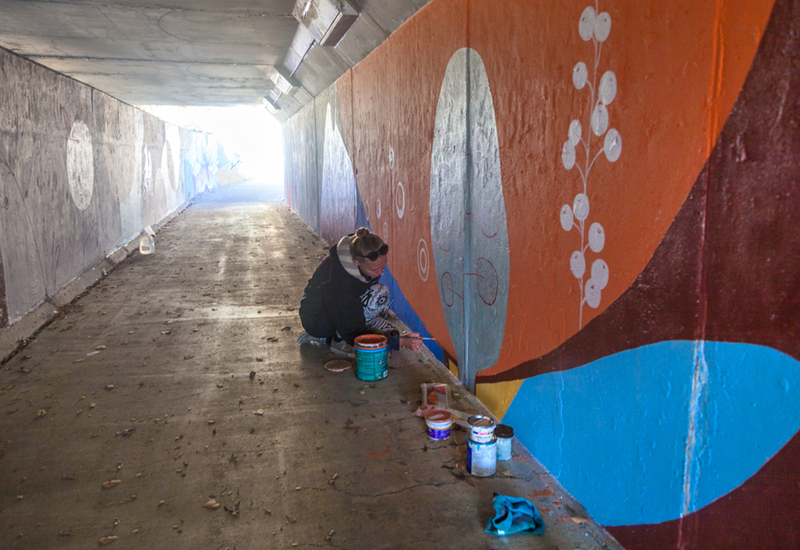 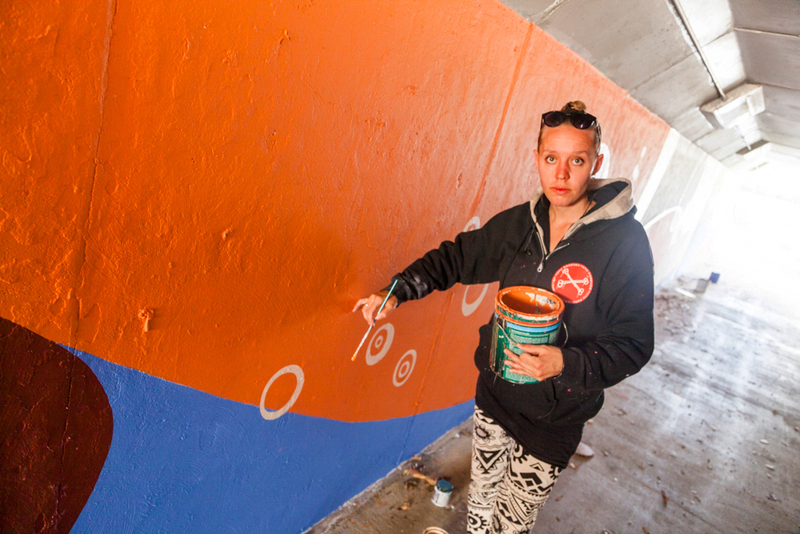 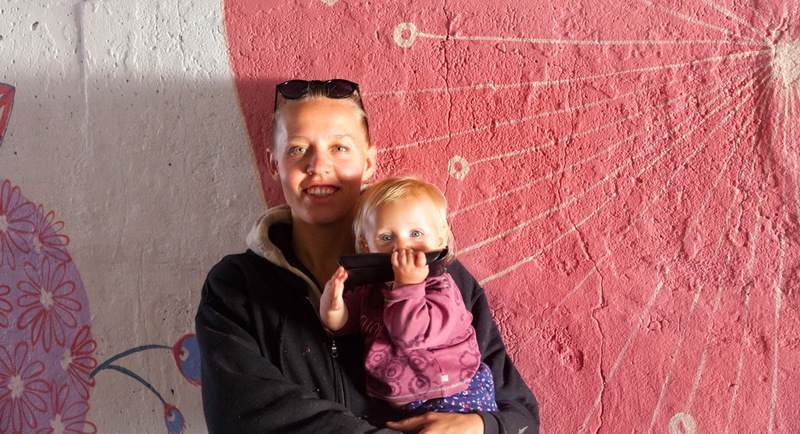 While painting the mural a lot of people thanked me hugely for making the tunnel nicer and safer. 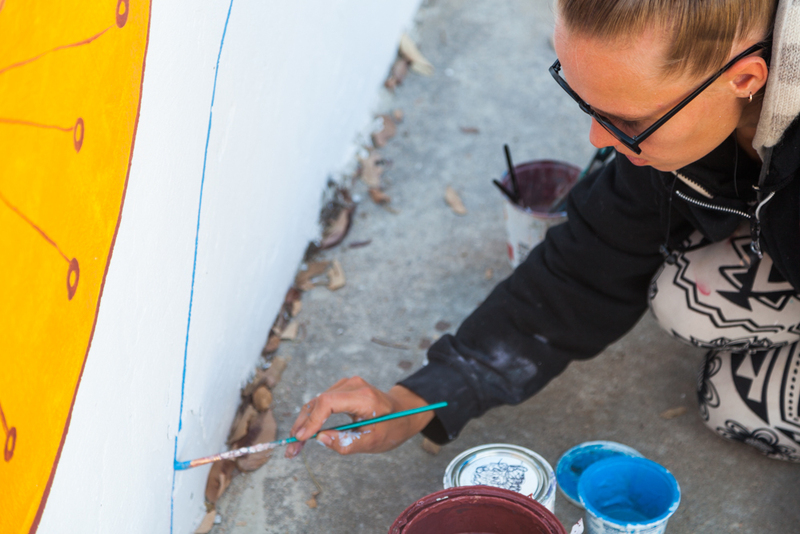 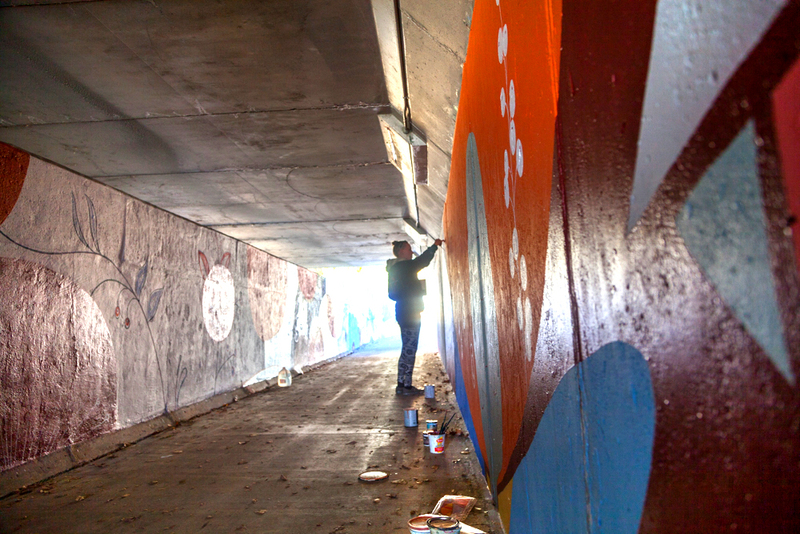 The mural was covered with an anti-graffiti coating, cameras and lights fixtures were installed to prevent future vandalism. 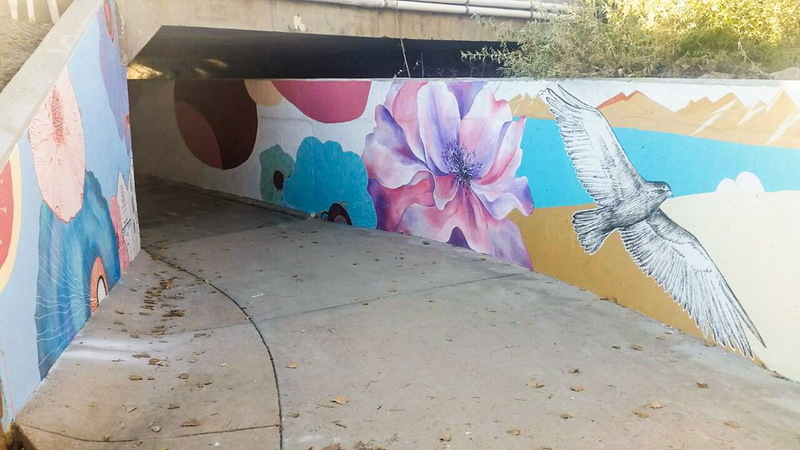 The design for this mural was chosen by the art committee consisting of the city art panel, community members and activists. 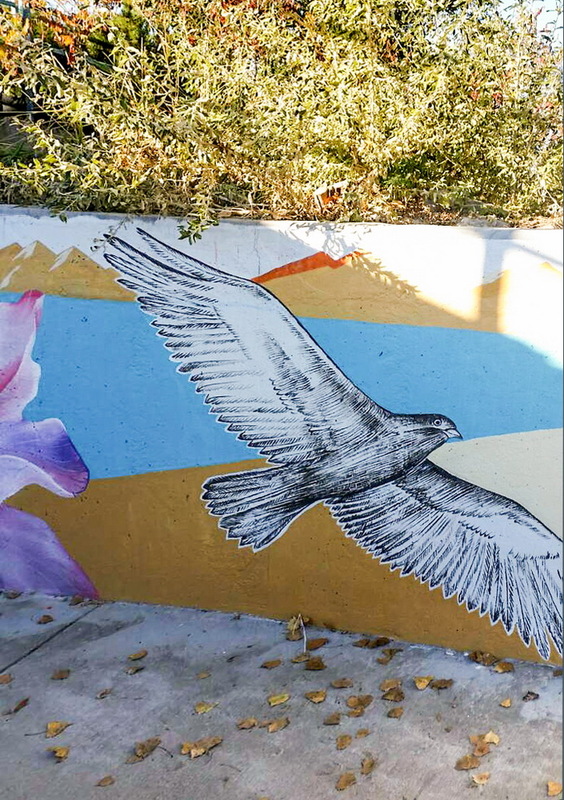 An osprey, a common bird to see in the sky above Longmont. 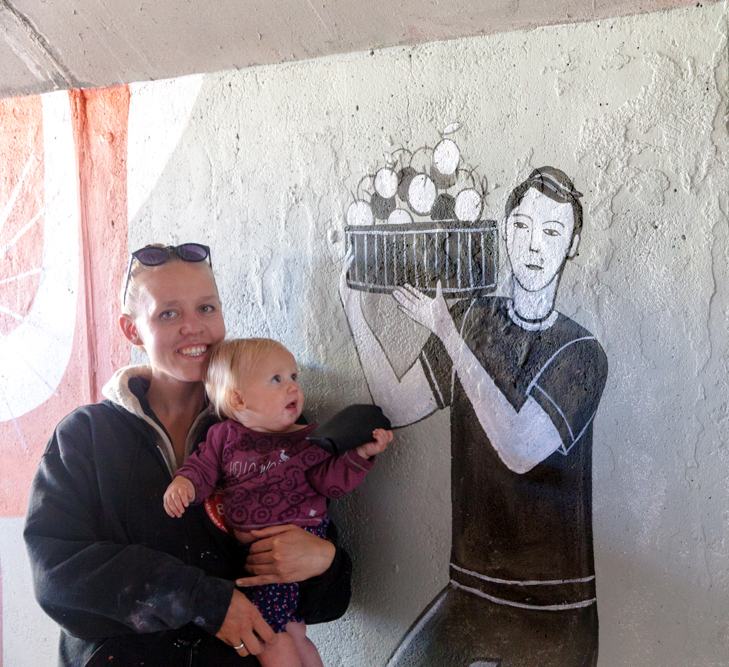 My daughter Aleksandra and I in the background of a briar rose. 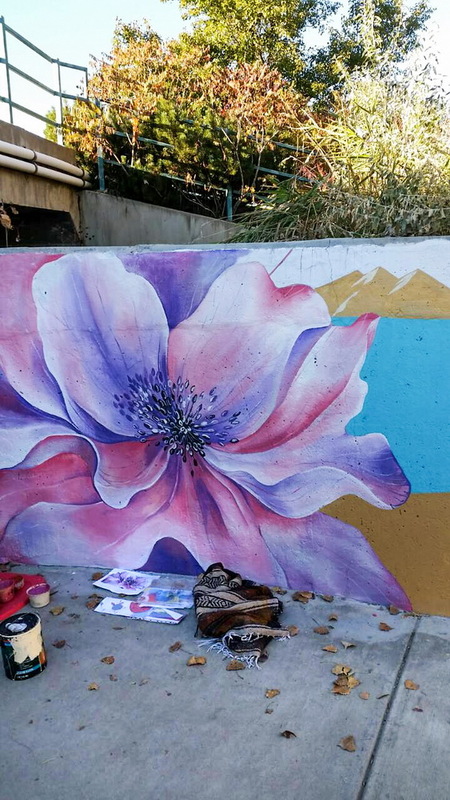 Lots of flowers, realistic and abstract, are here to represent growth and development. 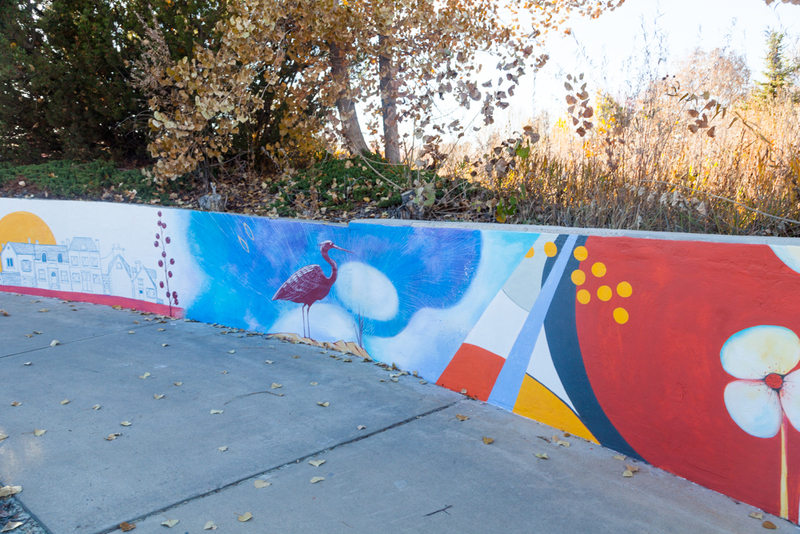 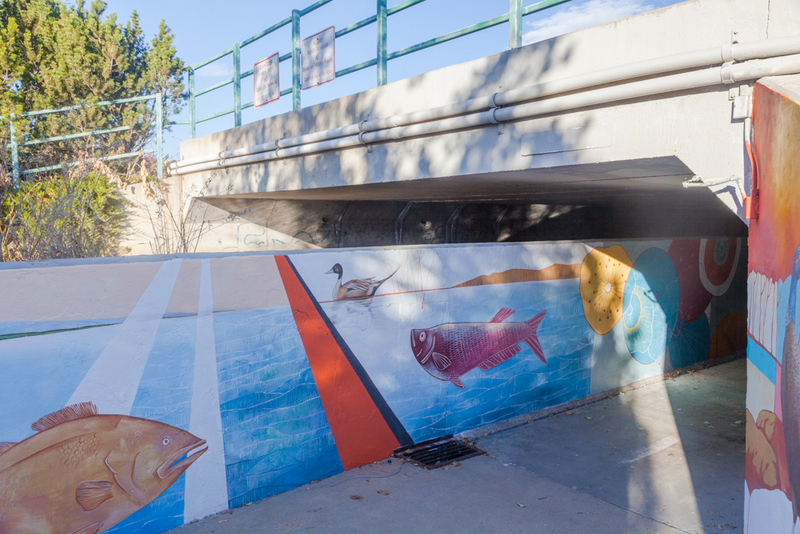 Water flowers, birds, fish, and underwater views represent the richness of Longmont’s nature and abundance of lakes and bodies of water. 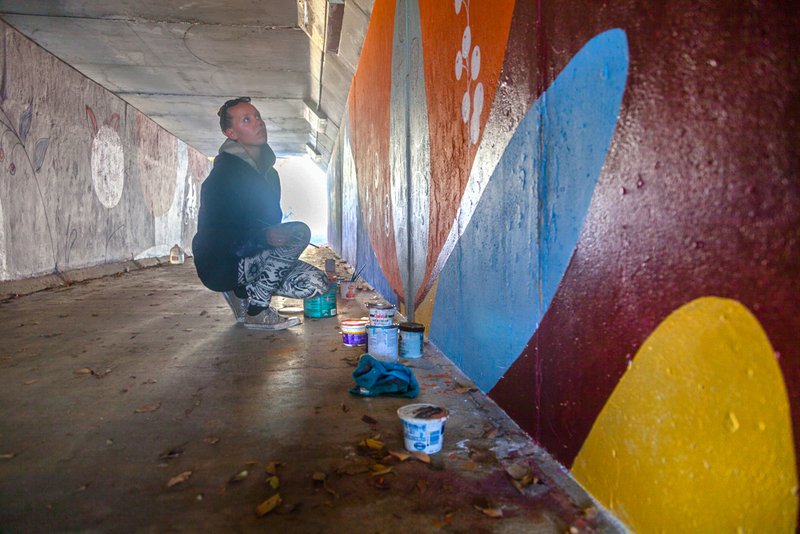 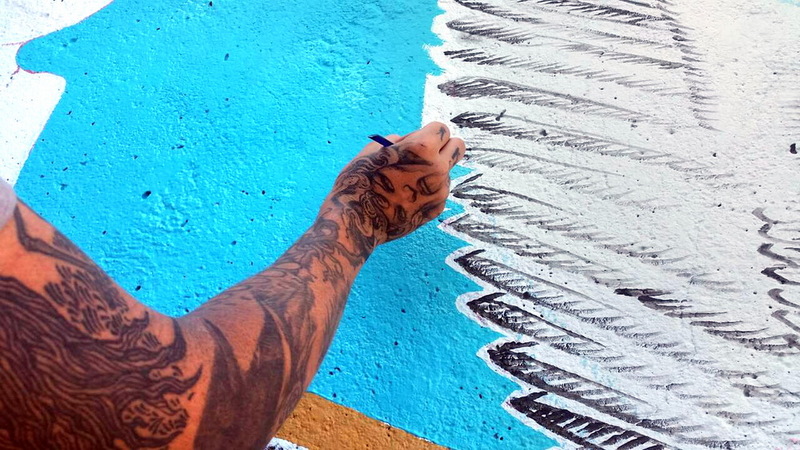 My husband, Nick Angelo, as always, was helping me in painting the underpass mural. 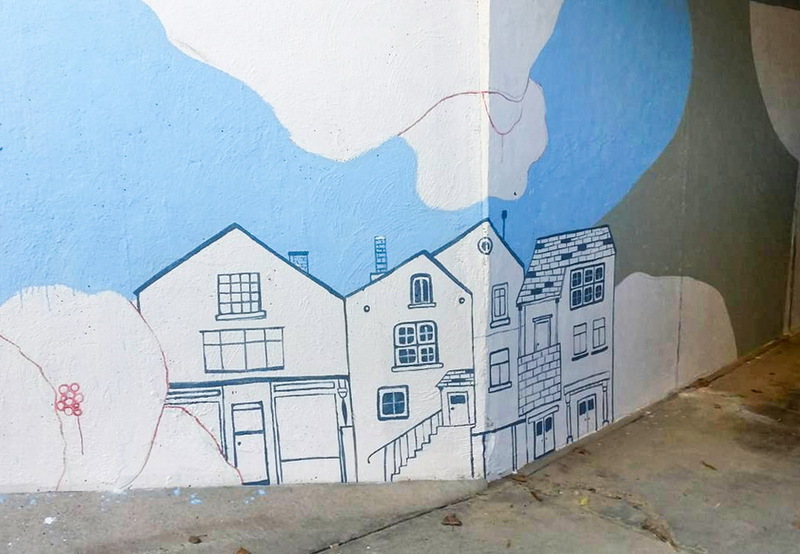 Cute historic buildings, reminding us of Longmont’s past as a Chicago colony. 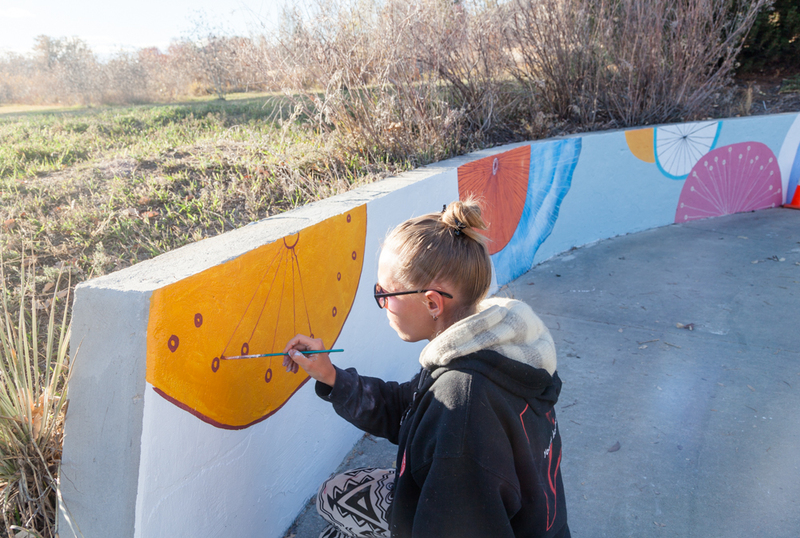 The city started as an agricultural community. 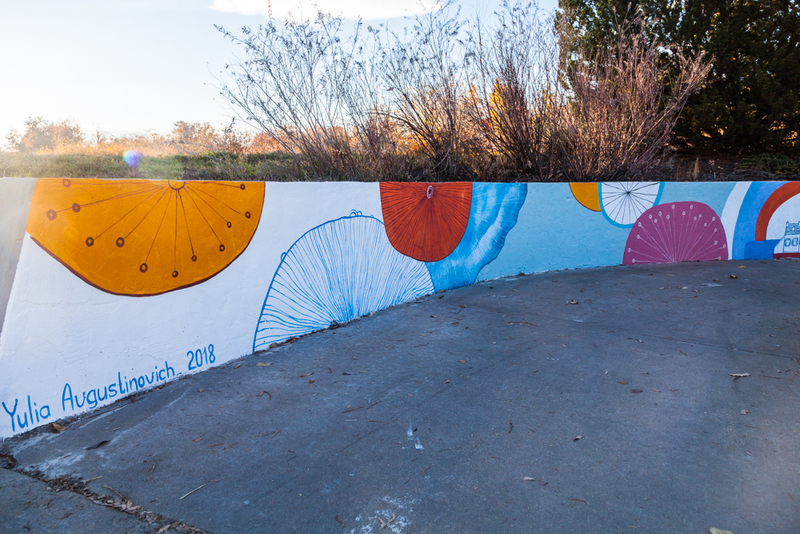 A man with a basket of fruits on the mural is representing the agricultural history of the city. 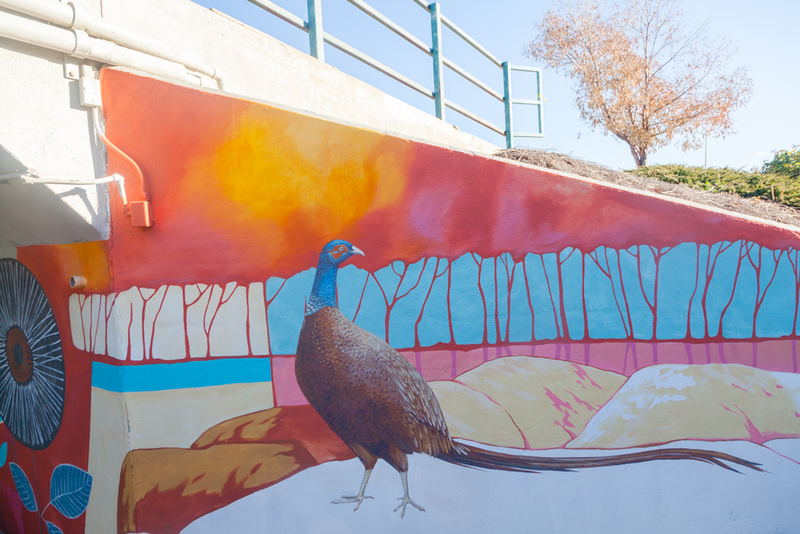 The ring-necked pheasant, a native bird of Colorado.